I've received a few emails about where to find some skirts that would work well in the office, while still keeping a stylish look. I've showcased the pencil skirt because you can wear it with an over-sized sweater (My fave thing to do this season), or a stylish shirt and blazer. 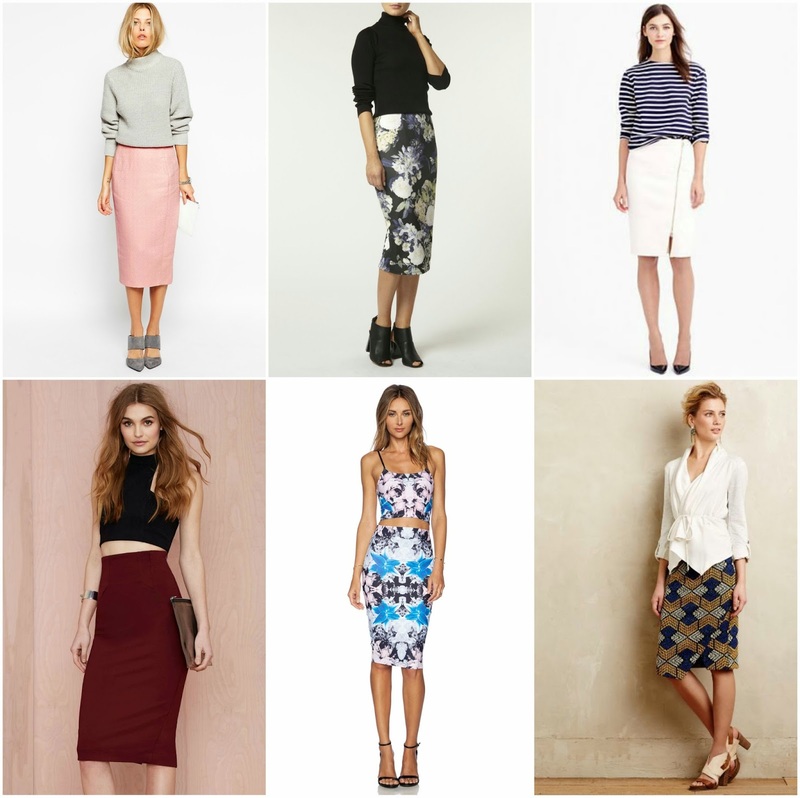 What's also great, pencil skirts can be worn with flats, pumps. booties or really any footwear. Just have fun with it! Love these skirts!! I am loving the longer length.